Dr. Roberts graduated from the University of Florida College of Medicine in Gainesville. She completed her residency training in orthopedic surgery at UF Health Jacksonville, followed by a fellowship in Wilmington, Delaware, at the Alfred I. duPont Hospital for Children in pediatric orthopedic surgery ... Read More and scoliosis. 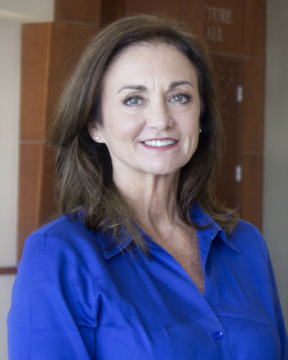 Dr. Roberts comes to Pensacola from Shriners Hospitals for Children, where she served as the secretary of the Medical Executive Committee and represented Shriners Hospitals on the board of the U.S. Bone and Joint Initiative. Prior to her position with Shriners Hospitals, she was responsible for establishing a pediatric orthopedic program at a Level 1 trauma center in Miami. Dr. Roberts is board certified and a member of the American Academy of Orthopaedic Surgeons, the Pediatric Orthopaedic Society of North America and the Florida Orthopaedic Society. She enjoys mission work and has served on medical mission trips to Jamaica and Panama. She has presented at numerous professional meetings, including the University of South Florida Pediatric Conference, the Florida Orthopaedic Society Annual Scientific Meeting and the Society of Military Orthopaedic Surgeons Annual Meeting. Dr. Roberts is employed with the University of Florida and practices full time at this Sacred Heart Medical Group office. Tracy Roberts, MD offers services at multiple FL locations.